From 1999 until 2011, coc+co maintained a showroom located in the heart of the garment district (36th between 7th and Broadway). In 2006, coc+co established a West Coast showroom, located in Los Angeles' esteemed Cooper Building in the center of the fashion district. The unique concept was “one stop shopping” for the retail buyer by creating a mix of ready-to-wear, accessories, shoes, and handbags. In May 2007, coc+co expanded their New York Headquarters. With the addition of 6000 more sq ft, coc+co was operating in a beautiful 12000 sq ft, multi-level showroom. Staying consistent to O'Connor's minimalist chic decor, the showroom was a stunning update. 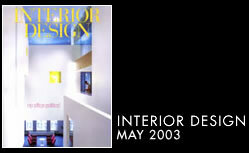 The showroom expansion and luxury amenities, were featured in WWD in September, 2007. Click the cover below to read the article. The original space, designed by renowned architects Kiss + Zwigard, was written about by Monica Geran in Interior Design magazine in May, 2003. Click the cover below to read the article.